We treat our products like our children. It is only natural, then, that we should be concerned about how they are getting on in customers' lives. 'expressing' myself with obscure creative impressions. 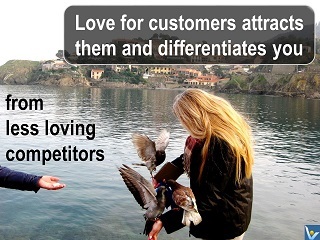 Your love for customers attracts them and differentiates you from less loving competitors. but people may not buy your product or service. 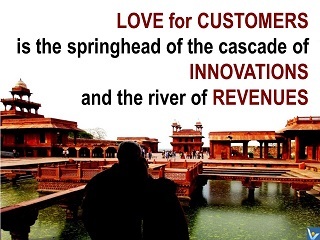 Exceed your customer's expectations. If you do, they'll come back over and over. Give them what they want – and a little more.